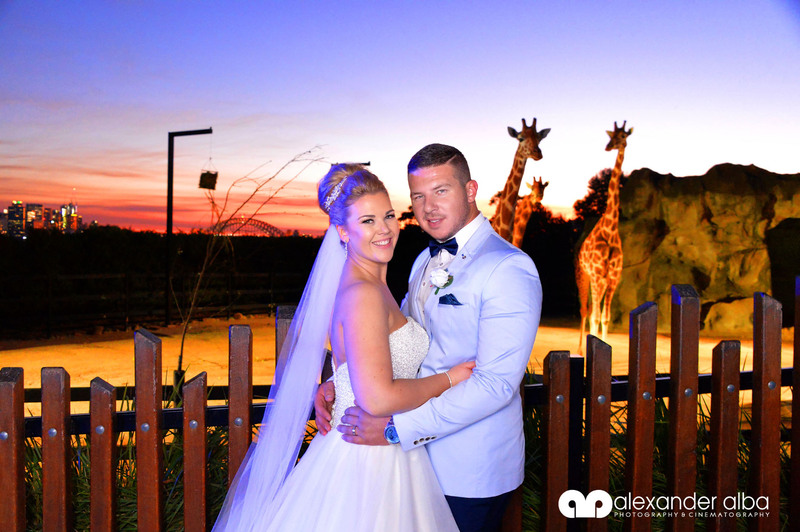 We listen to each individual needs and work with them to make sure all their photography requirements are met. We implement over 20 years’ experience in the field of photography to provide you the mos...We listen to each individual needs and work with them to make sure all their photography requirements are met. We implement over 20 years’ experience in the field of photography to provide you the most amazing memories captured by us. Wendy was a joy to work with. Very professional. Great sense of humour and kept everyone in great spirits. Went above and beyond. Photos were amazing and w...Wendy was a joy to work with. Very professional. Great sense of humour and kept everyone in great spirits. Went above and beyond. Photos were amazing and we got them in no time. Thank you Wendy!! Such an easy way to connect with an available photographer, with clear pric...Such an easy way to connect with an available photographer, with clear pricing up front, and easy direct contact to get started, which was what I needed an...Such an easy way to connect with an available photographer, with clear pricing up front, and easy direct contact to get started, which was what I needed and achieved within less than 24 hrs. Anthony Burns is an Accredited Professional Photographer and a Corporate P...Anthony Burns is an Accredited Professional Photographer and a Corporate Photography Specialist. 0417 224 565 https://homepix.com.au/ We specialise in Events, Headshots and Website images. We...Anthony Burns is an Accredited Professional Photographer and a Corporate Photography Specialist. 0417 224 565 https://homepix.com.au/ We specialise in Events, Headshots and Website images. We charge by the hour so you save. We are Accredited Professional Photographers. We are Insured for public liability. We give you images within 24 hours. Visit Homepix https://homepix.com.au EVENT PHOTOGRAPHY Showcase your event by having great images taken. We cover big and small events , conferences, round table meetings &amp; trade expo’s. Over the years we have shot at most of the major event spaces up and down the the Australian east coast, from Cairns to Hobart. HEADSHOT PHOTOGRAPHY We Come To You We set up a mini studio and take a number of hi quality headshots of each person, Yes, that easy. Then we send you the images for you to select the ones you want. We perform basic “post production” that is, we clean them up. Then you get the final images once the fee is paid, simple. We take about 10 to 15 people per hour, this is very cost effective at an hourly rate. Anthony was very helpful and responsive. Easy to organise things and did a...Anthony was very helpful and responsive. Easy to organise things and did a great job....Anthony was very helpful and responsive. Easy to organise things and did a great job. Welcome to Love is Light! I’m Brendan. I'm a creative wedding photograph...edsduvtxwxteexwwsqbfuqtvyuzbyxcewxxxfWelcome to Love is Light! I’m Brendan. I'm a creative wedding photographer and storyteller. I'm passionate about creating beautiful and authentic photographs you will treasure forever....Welcome to Love is Light! I’m Brendan. I'm a creative wedding photographer and storyteller. I'm passionate about creating beautiful and authentic photographs you will treasure forever. Brendan did an absolutely superb job shooting my 40th birthday celebrations...Brendan did an absolutely superb job shooting my 40th birthday celebrations. His photography is truly exceptional and I love the candid moments he captured...Brendan did an absolutely superb job shooting my 40th birthday celebrations. His photography is truly exceptional and I love the candid moments he captured throughout the day. I highly recommend Love is Light and will definitely book them for my next important event (personal or professional). Weddings | Engagements | Location shoots | Family portraits | Baby bumps | Functions and events Here at Jennifer Lam Photography we take the greatest joy in being able to share the love, join in on...Weddings | Engagements | Location shoots | Family portraits | Baby bumps | Functions and events Here at Jennifer Lam Photography we take the greatest joy in being able to share the love, join in on the celebrations and to have fun documenting the most jubilant occasions in life! So ... we do all sorts of photography, you name it! We’re always seeking new adventures! Although we’re based in Sydney, Australia, we sure love to travel, so distance is not an issue! Catch us on the move and stay posted on our latest adventures by following us on social media and tuning into our blog! If you’d like to get in touch, say hello to us. We’d love to hear from you! I would like to say a huge thank you to Jennifer Lam for doing such a brill...I would like to say a huge thank you to Jennifer Lam for doing such a brilliant job with our post wedding photograph shoot. Jen was such an awesome person...I would like to say a huge thank you to Jennifer Lam for doing such a brilliant job with our post wedding photograph shoot. Jen was such an awesome person to work with, she was so willing to go along with what we wanted, and happily gave us pointers when we asked for it. My husband hates having his photo taken, but Jen was very gentle with him that he didn't feel like any of it was a forced photo shoot - it was just a fun afternoon. We loved every minute of it. Thank you for the amazing photos!!! Lavana was a great asset to our team in a combined Photo/Video shoot day. S...Lavana was a great asset to our team in a combined Photo/Video shoot day. She was helpful and took some great shots. I would definitely recommend her and h...Lavana was a great asset to our team in a combined Photo/Video shoot day. She was helpful and took some great shots. I would definitely recommend her and hire her again in future! I'm a Sydney based commercial photographer that works with business owners...I'm a Sydney based commercial photographer that works with business owners and businesses to create exceptional imagery that will help you stand out online. I'm available Sydney wide for commercial,...edsduvtxwxteexwwsqbfuqtvyuzbyxcewxxxfI'm a Sydney based commercial photographer that works with business owners and businesses to create exceptional imagery that will help you stand out online. I'm available Sydney wide for commercial, corporate and aerial photography and video assignments. I love what I do and love producing work that exceeds my clients expectations, I enjoy the challenge of bringing an idea to life and love the results achieved by the collaborative process. Please feel free to get in touch by email or by phone, I'd love to talk to you about your next creative assignment and how I can help bring your ideas to life. Lion and Cub Photography is owned by Newtown based photographer Nikki McLen...Lion and Cub Photography is owned by Newtown based photographer Nikki McLennan. With 15 years experience in portrait, wedding and event photography, her talent lies in connecting with people, helping...Lion and Cub Photography is owned by Newtown based photographer Nikki McLennan. With 15 years experience in portrait, wedding and event photography, her talent lies in connecting with people, helping them relax and creating soulful, stunning portraits that tell the story of your family. This results in timeless, classic imagery that your family will cherish for years to come. Lion and Cub has a studio in St Peters for fashion or traditional studio lit portraits, or can come to your home for lifestyle shots or work on location. We also offers a range of exquisite products to present your artwork, from albums, frames, acrylic blocks and photo books. I have public liability insurance to $20 million so can photograph events with full insurance coverage. Professional and friendly. Excellent communication. Made the whole experien...Professional and friendly. Excellent communication. Made the whole experience memorable and exciting. I would recommend highly with confidence....Professional and friendly. Excellent communication. Made the whole experience memorable and exciting. I would recommend highly with confidence. Taryn Ruig Photography specialize in candid and photojournalistic wedding p...Taryn Ruig Photography specialize in candid and photojournalistic wedding photography, lifestyle portrait photography and beauty and fashion photography. We have an easy going, natural style and alway...Taryn Ruig Photography specialize in candid and photojournalistic wedding photography, lifestyle portrait photography and beauty and fashion photography. We have an easy going, natural style and always have fun on our shoots which results in photos you will love. We cover from Newcastle to Wollongong and out to the Blue Mountains within our standard prices, however we love Destination Weddings, so we will come to you for a small additional fee if you are outside of these areas. Head to our website to see more examples of our work at tarynruig.com You can also download our Weddings Price List from http://eepurl.com/bmK785 And you can find us on Facebook at facebook.com/tsbphoto and don't forget to follow us on Instagram. I chose Taryn Ruig Photography for my wedding because I love the style of h...I chose Taryn Ruig Photography for my wedding because I love the style of her photography. She is different from the rest. I didn't want lots of photos - I...I chose Taryn Ruig Photography for my wedding because I love the style of her photography. She is different from the rest. I didn't want lots of photos - I just wanted THAT one. I cannot praise her enough. She was wonderful. Very friendly, very professional. The photos were exactly what I wanted, beautiful, candid and different. She was amazing and I can't say enough about her. Thank you so much Taryn! WELCOME TO YOU STUDIOS. A FULL SERVICE Photography and Cinematography DESI...edsduvtxwxteexwwsqbfuqtvyuzbyxcewxxxfWELCOME TO YOU STUDIOS. A FULL SERVICE Photography and Cinematography DESIGN STUDIO. Here at You Studios we take you on a fun exciting adventure that everyone will enjoy. Our skilled team of photog...WELCOME TO YOU STUDIOS. A FULL SERVICE Photography and Cinematography DESIGN STUDIO. Here at You Studios we take you on a fun exciting adventure that everyone will enjoy. Our skilled team of photographers and Cinematographers are here to create stunning images that convey your story. We take the time to get to know you and your family, so we can understand the best way to capture your wedding day, corporate event or family portrait. The in house designers will create personal works of art that reflect the essence of who you are. Extremely happy with the recordings and dvd of our daughters wedding. Geoff...Extremely happy with the recordings and dvd of our daughters wedding. Geoff definately listened to what we wanted and delivered. Would definately recommend...Extremely happy with the recordings and dvd of our daughters wedding. Geoff definately listened to what we wanted and delivered. Would definately recommend.Very good value. Sydney Party Photos does what the name suggests: Take photos at parties in...Sydney Party Photos does what the name suggests: Take photos at parties in Sydney. We love doing it and think we're pretty damn good at it so take a look through out galleries and see for yourself. We...Sydney Party Photos does what the name suggests: Take photos at parties in Sydney. We love doing it and think we're pretty damn good at it so take a look through out galleries and see for yourself. We also have a sister company which manages photobooths and hashtag/instagram printers and can organise a package with both if desired. Fantastic! Peter was the photographer at our son's 21st birthday where we w...Fantastic! Peter was the photographer at our son's 21st birthday where we wanted to capture the moment in an informal way and have a record of all who atte...Fantastic! Peter was the photographer at our son's 21st birthday where we wanted to capture the moment in an informal way and have a record of all who attended. Peter was very professional, prompt in providing the photos online the next day. I would have no hesitation to hire Peter's services again. An enthusiastic photography who enjoys going above and beyond to make the photographs of your events memorable. As photography is a second job for me I'm able to be very price competitive however this...An enthusiastic photography who enjoys going above and beyond to make the photographs of your events memorable. As photography is a second job for me I'm able to be very price competitive however this in no way limits the quality of my work, please browse my portfolio and you will see I deliver quality work and am perfect for your next event. I attempt to capture the overall vibe of the event with food, decor and layout. You will notice a large amount of my photography is based on events, I don't include studio staged pictures in my portfolio as they are not a realistic indication of event photography output. Furthermore unlike other photographers which offer you a package of 20/50/100 edited images, I'll provide edited copies of all photos from the day to make sure you don't miss that special moment or particular guests. This ultimately creates more work to edit every photo but that's what makes our offering unique! Don't hesitate to contact me if you have any questions. I specialise in Family , Weddings and Corporate Photography- capturing, bot...I specialise in Family , Weddings and Corporate Photography- capturing, both candid shots and beautiful portraiture. Beautiful Photography that tells your unique life story. Family sessions includ...I specialise in Family , Weddings and Corporate Photography- capturing, both candid shots and beautiful portraiture. Beautiful Photography that tells your unique life story. Family sessions include newborns and children , Weddings and celebrations , and Corporate Head-shots to compliment your on-line portfolio. Sessions are held in my studio or on location and are relaxed , natural and fun. I deliver quality artworks that meet your specific requirements. You can choose whether you’d like your photos presented as quality prints, custom framed, on canvas, block-mounted or as a photo book. Digital s for reprinting and sharing are also available, compatible to all electronic devices. A Pioneer Award Winning Professional Artist Photographer with all Commercia...A Pioneer Award Winning Professional Artist Photographer with all Commercial Portfolio for Weddings, Bridal & Catwalk Fashion Catalog for Magazine cover, Family & Baby Portraits, Christening, Corpora...A Pioneer Award Winning Professional Artist Photographer with all Commercial Portfolio for Weddings, Bridal & Catwalk Fashion Catalog for Magazine cover, Family & Baby Portraits, Christening, Corporate Shots, Food Products shots Experience almost 30 years holding a degree of a Masters in Creative Arts and Photography & Visual Arts including Cinematic Video Portfolio for Graphic movie animation. My work holds a lot of memories and experience to see happy moments just a great fun photography, NO STIFF POSES, NO FALSE SMILE, VERY EXTRA ORDINARY QUALITY STYLE APPROACH VERY ARTISTIC WORK OF ART AND PASSION. IF YOU'RE SERIOUS ABOUT HAVING A TRULY EXCEPTIONAL WEDDING OF THE DAY, THEN WE ARE SERIOUS PROFESSIONAL PHOTOGRAPHER WITH CINEMATIC VIDEO COVERAGE PIONEERING EXPERIENCE. iF YOU LIKE TO EXPERIENCE OUR QUALITY AND SERVICES BE THE FIRST ONE TO BOOK US YOU WILL TREASURE OUR WORK AND QUALITY FOR A LIFETIME. He's really approachable, friendly, got experience and knowledge for Asian'...He's really approachable, friendly, got experience and knowledge for Asian's culture/tea ceremonies. He has demonstrated his enthusiasm in photography and...He's really approachable, friendly, got experience and knowledge for Asian's culture/tea ceremonies. He has demonstrated his enthusiasm in photography and to share the joy and fun with us for the pre-wedding photos and wedding photos. He offered us a very good price. We are very pleased with his offer and are so looking forward to have him as our photographer. Ozi Productions is a creative event photography and film company, with more...Ozi Productions is a creative event photography and film company, with more than 10 years experience in filming and 4 years photographing weddings and events you will get a great quality in great pri...Ozi Productions is a creative event photography and film company, with more than 10 years experience in filming and 4 years photographing weddings and events you will get a great quality in great price. See what our costumers says about us by Googling 'Ozi Productions reviews'. Highly recommended as Alex did a good job on making my simple wedding into extra special one. Its been a great experience to work with him. Ksenija was absolutely fabulous. The photo's are stunning. She's delivered them at break-neck speed and they're just beautiful and everything we were hoping for. Her friendly demeanor and professionalism made the afternoon easy and just enjoyable enough that our natural camera..